President Trump really likes Federal Reserve Chair Janet Yellen. "I think she's terrific. We had a great talk," Trump told Fox Business in an interview aired on Wednesday. Trump met with Yellen last week, and he's still considering whom to nominate as the next leader of the Fed. He said Monday that he was "very, very close" to a decision but no definitive date has been set for the announcement. "It won't be a big shock," he told Fox Business on Wednesday. Trump neither fully endorsed Yellen nor dismissed her chances of getting renominated. He hinted that the stock market's rise to record highs -- one of his favorite talking points -- was partially due to the Fed's monetary policy under Yellen's watch. The Dow recently crossed 23,000 points for the first time in history. Trump also credited himself for the stock market's success. "We're obviously doing very well together, you look at the markets," Trump told Fox Business, speaking of himself and Yellen. But Trump admitted he wants to put his own stamp on the Fed and its leadership. After all, Yellen was nominated by President Obama in 2013. "In one way I have to say, you like to make your own mark ... which is maybe one of things that she's got a little bit against her," Trump added. Trump's comments on the nomination have changed day to day. 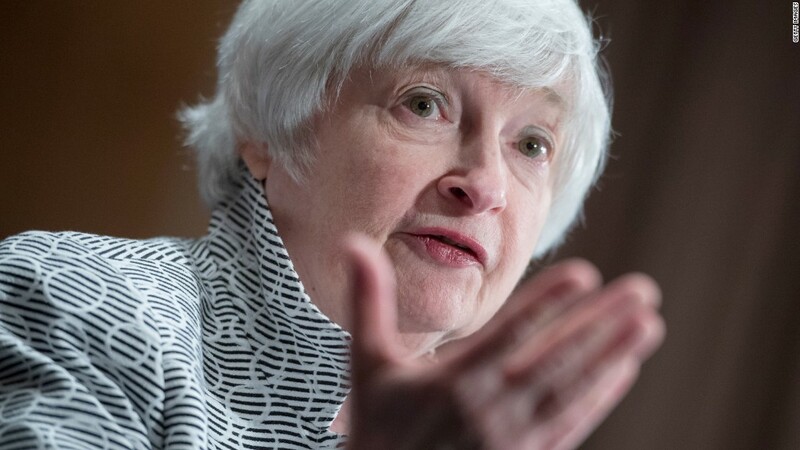 In a separate interview with Fox, he hinted that Fed Governor Jerome Powell and Stanford economist John Taylor are frontrunners. Former Fed Governor Kevin Warsh is also a candidate. At a meeting on Capitol Hill on Tuesday, Trump did a "show of hands" poll for the next Fed chair in a closed-door meeting with Republicans. Some lawmakers told CNN that Taylor was apparently the most liked in the casual vote, but no official tally was made. Trump also asked Fox anchor Lou Dobbs in the interview on Wednesday who he would choose to be Fed Chair. "I personally believe that Janet Yellen might be worth keeping," Dobbs replied.